Here you can view our huge range of 17" MacBook Pros at incredibly low prices. We run daily price checks against our competitors to ensure we are always offering the best prices on each MacBook Pro. 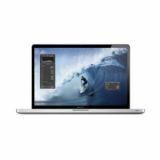 Each refurbished 17" MacBook Pro has been professionally reinstalled and will come with a six month Maple warranty which can be extended to three years.